At OMNIA Partners, we’ve built our packaging portfolio to fill gaps, streamline procurement processes and help companies with production environments to strategically reduce spend. For example, companies that manufacture unfinished goods – like those within food production – have large packaging spends. They need to procure anything from pallets to cardboard boxes to shipping labels to stretch wrap and everything in between. Our packaging portfolio is specifically built out to support the needs of these members with far-reaching demands. Not only can we supply the materials used to produce take-out boxes and point-of-purchase packaging at a lower rate, we can supply the shipping boxes that ensure products arrive at their final destinations in good condition. As costs climb and more and more consumers shop online, your packaging supply chain becomes more critical to containing costs. So when a GPO can become your one-stop packaging shop and deliver an all-inclusive solution, you will exponentially reduce spend on all of these items and immediately impact your bottom line for the better. By extension, your procurement processes will also be simplified. 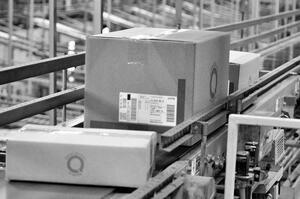 Members of OMNIA Partners save 8 - 12% on average for corrugated boxes. View the OMNIA Partners suppliers offered in Packaging & Supplies.